BOCA RATON, Fla. -- The revised NHL Protocol for Concussion Evaluation and Management goes into effect starting with Wednesday's games. Starting tonight, players suspected of having a concussion will be removed from the game and sent to a quiet place free from distraction so they can be examined by the on-site team physician. The physician will use the Sports Concussion Assessment Tool test to evaluate the player. Symptoms include loss of consciousness, motor incoordination or balance problems, a blank or vacant look, slow to get up after a hit to the head, disorientation, clutching of the head after a hit or visible facial injury in combination with another symptom. In the past, a player suspected of having sustained a concussion would be evaluated by the team's trainer or a doctor in the bench area. If a concussion was suspected, the player was moved to a quieter area for further evaluation. 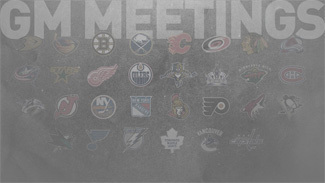 NHL Commissioner Gary Bettman announced the new protocol Monday during Day 1 of the general managers' meetings, but said it would take a few days to be enforced because the League needed to conduct conference calls with team physicians and trainers in order to explain it to them. "That's a huge change," Nashville GM David Poile said of taking a player off the ice for testing. "It's a very caring change to make sure we're right. It's the game of hockey, it's going to be physical. As the caretakers we're going to do everything possible to make it as safe as possible, but there are still going to be injuries." Pittsburgh GM Ray Shero is all for the new protocol, but, like Poile, he was quick to point out that it's not perfect. For instance, the Penguins' contention all along is that Sidney Crosby didn't show any concussion symptoms until well after getting hit in the head by Tampa Bay defenseman Victor Hedman, and that's why he never received any rink-side testing. Shero earlier in the week said his teenage son suffered a concussion playing hockey, but showed no signs until several days later. "It could be three or four days later, I know that for a fact," Shero said. "With my kid it was the same -- it wasn't immediate." "Sometimes you get hit and you are ready to go," said Poile. "Sometimes symptoms don't come for a long time. A lot of times symptoms might not be there until after 15 minutes. But once again, it's an effort to take care for the player and try to put him in an environment that is safe and do the right thing. We're not going to be 100 percent when we do these things, but I think it's a big step to help." The new protocol might force more teams to bring their own physicians on the road with them during the regular season. Most teams already do that in the playoffs, but Shero said the Blackhawks are the only team he knows that currently does it in the regular season, and they just started this season. "That's what we're probably going to do," Shero said of bringing a doctor on the road with the team. "We've been talking about it for months. It's something that we're trying to work out with one of our two main doctors." Part of the onus will remain with the player to report his symptoms, but the new concussion protocol is designed to take some of the player's decision-making and influence away. If players show any symptoms, the protocol dictates they will be forced to leave the ice no matter the time or situation in the game. "The game has just evolved, and as it evolves you have to make these adjustments," Poile said. "To the NHL's credit, we have been talking about the safety of the players and concussions for a long time. I'd say in the last year not a day goes by in my job where I'm not talking about it with a player, with a trainer or another general manager. Gary (Bettman) did a good job of being pro-active, of setting up criteria, and we're working on it. In a year from now let's hope there are less injuries, period."